goodnews, an irregularly scheduled e-mail newsletter from goodcounsel. Can you see this e-mail?If not, view it in your browser. Another year has flown by, one of enormous growth and development for goodcounsel’s practice in terms of the number and the complexity of matters we handled. We would like to thank goodcounsel’s clients and other friends for making 2013 an enormous success. One thing goodcounsel established this year is that we are capable of handling substantial deals and going up against huge law firms. Mind you, we love helping entrepreneurs with company formations, seed funding and the host of legal issues that emerge in the startup context. That is goodcounsel’s bread and butter. But we want to make sure that our friends know that goodcounsel has the capacity to take on larger, later-stage deals. Working with Ken Obel on Harris D. McKinney’s recent acquisition of San Francisco-based Zoomedia was, without a doubt, one of the smartest decisions we made in 2013. Ken was extremely well organized, managed the process from start to finish, was very thoughtful, incredibly responsive and never dropped the ball. Additionally, he always kept his cool and provided tremendous insight, advice and guidance throughout the process, working both with our internal team and outside accounting firm. In the case of our deal, the seller’s counsel was a much larger firm, yet we always felt we were at an advantage with Ken on our side. How can a small firm like goodcounsel stand toe-to-toe with an AmLaw 100 firm, and hold its ground? It starts with our approach, shaped by our experience both in legal practice and in business (not so common for lawyers). Technology innovations, the democratization of information resources, and changes in the structure of legal practice then allow us to assemble the right team and tools to bring our approach to bear in a wide range of situations. Next time you are thinking about representation for a sizable or complex matter, don’t forget about goodcounsel. You might be surprised to learn what we can handle — and how much you could save. In addition to our representation of early-stage companies, goodcounsel has a substantial practice representing individuals who are joining (or on occasion, departing) larger, established companies. If you know someone who is negotiating employment (or separation) terms, particularly where equity is on the table, you would do them a service to connect them with goodcounsel. A recent post in the goodthinking! blog tells the story of a goodcounsel client who did not seek advice on the equity terms of his own startup, and regrettably, paid much too big of a price. Individuals and cost-conscious startups sometimes forgo legal advice as a cost-saving measure. I’ve been there, so I understand the thinking behind that. My view is simply that it is crucial to understand the risks involved in that decision — which can result in losing the value of months or even years of work, if one is unlucky. Give us a call before going down that road. Innovation is at the core of goodcounsel’s mission. We continue to use every tool at our disposal to streamline our workflows, so that we can everyday work less expensive and focus our energy on complex client matters requiring creativity and analytical thought. Innovation is not just about technology, however. When it comes to law, brevity and plain speaking are, unfortunately, surprisingly original. Goodcounsel strives to draft documents that accomplish more with fewer words. It is not unusual for us to deliver a 10-page document where our colleagues are relying on templates of 50 pages or more. Time is so precious these days; we don’t want to waste yours or ours. On the subject of not wasting time, have you seen the “Email Charter?” Goodcounsel is committing itself to send fewer, shorter, clearer e-mails this year. Will you join us? A summary of and my take on the “crowdfunding” provisions of the JOBS Act. Using LLC “profits interests” for employee incentive equity explains an important but not well understood method of granting tax-efficient incentive equity in LLC’s. Convertible debt — hold the debt — Explaining a West-coast innovation in seed financing. Startups and “superhubs” — Should anyone found a startup outside of San Francisco or N.Y.? Cliffs and startup community standards — Are one-year cliffs in vesting agreements are justifiable. You need to fix your SaaS License Agreement — What’s the difference between “software-as-a-service” agreements and traditional licensing? Silly lawyer habits that can bite you in the $@#! — Bad lawyer habits are not always harmless. If there is a topic that you would like to see addressed in the goodthinking! blog, let us know. Chicago’s tech push creates ripples for in-house counsel, Chicago Daily Law Bulletin, April 2013. 2014: Countdown to Launch, INSIGHT Magazine (Illinois CPA Society), Winter 2013/14. For some reason it didn’t make the news in the same way as Google’s move to the Merchandise Mart, but goodcounsel has also moved downtown, not far from the Mart. 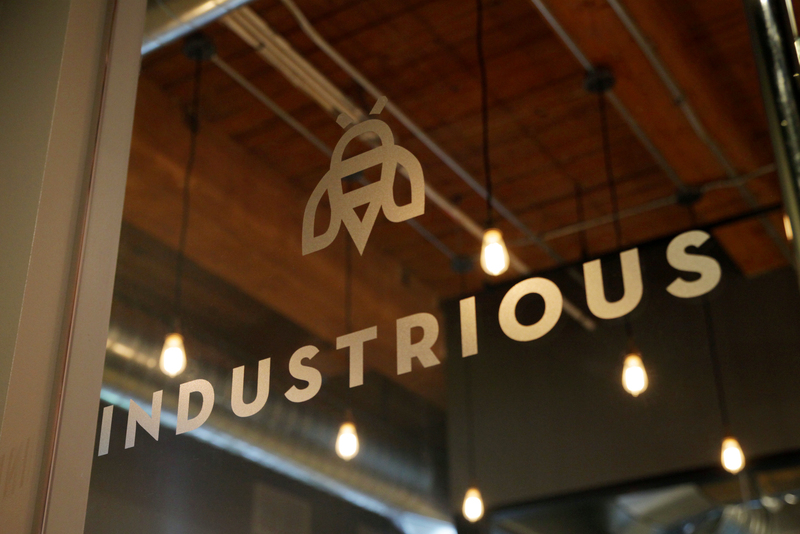 We now office at Industrious, an innovative co-working space catering to early-stage companies. (Please change my address in your records to 320 W. Ohio Street, 3rd Floor, Chicago, IL 60654.) It’s great to be closer to many of our clients, and we invite you to stop by any time to say hello — coffee and pastries on us. Even as our practice enjoyed a banner year, we are keenly aware that it is still a tough economy for many people, here and around the world. A quarter of households with children in large cities struggle to put enough food on the table. Again this year, in lieu of sending cards and calories, goodcounsel has made contributions to the Greater Chicago Food Depository and A Just Harvest to help people close to home, and to the U.S. Fund for UNICEF to help children around the world who confront hunger, preventable illnesses, and violence. Please consider these and similar organizations for additional giving this season and year-round. If you found the information here insightful or even just a tad helpful, feel free to email it to a friend using the link at the top of this email. Better still, if you know people who might have a need for our services, send them our way. We are grateful for referrals. If we cannot serve their needs, we will help get them to the right place. We wish you the best in 2014. Copyright © 2014 goodcounsel.Kenneth Obel is responsible for the content of this publication, which has been prepared for general informational purposes only in order to permit you to learn more about goodcounsel. As we are sure you understand (but we must say this anyway): The information presented is not legal advice — that can only be provided within a formal engagement, based on your specific circumstances — and it should not be relied upon as such. The contents of this newsletter may not be current and are subject to change without notice.